‘Monkey Business’ for Michelle’s Pet Challenge. 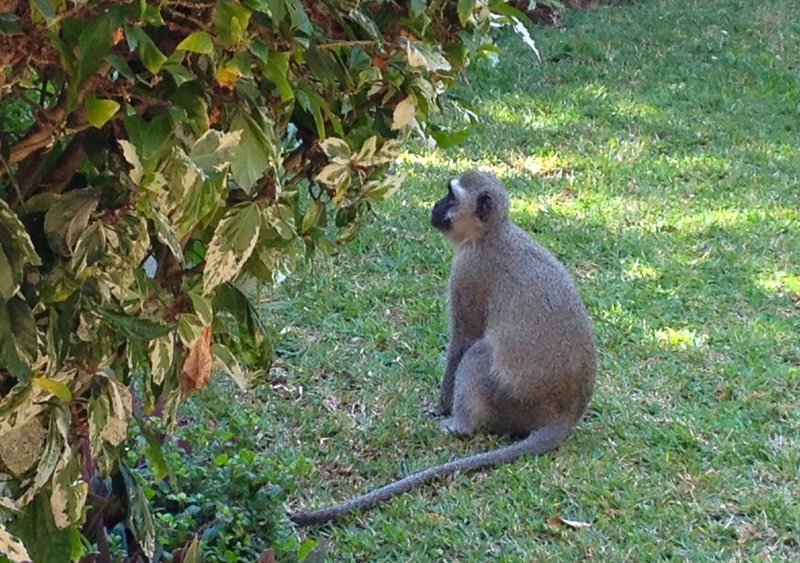 We have rather a lot of monkeys here in South Africa, and down here at the coast, the Vervets are seemingly, everywhere. Yesterday, I was sitting at my computer…..blogging of course, when I sensed that I was NOT alone. 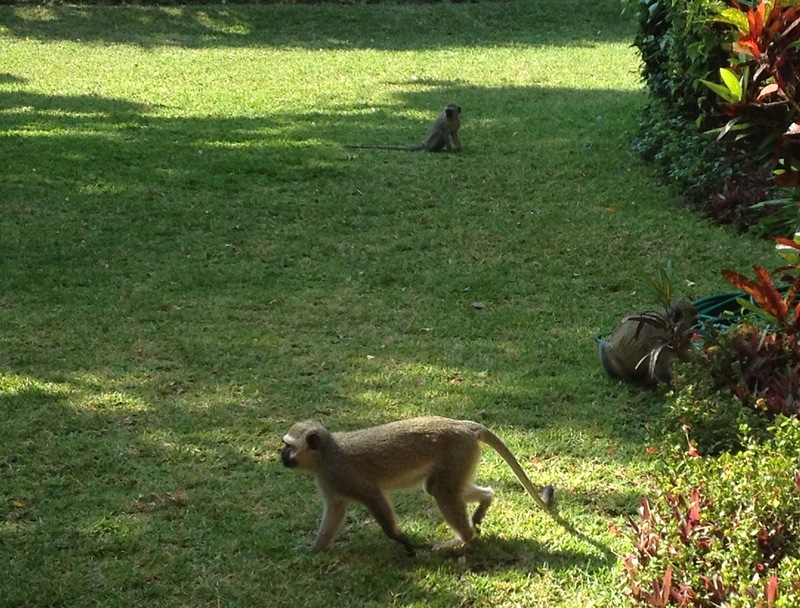 Turning my head slightly, I was just in time to see two cheeky monkeys on their merry way to my fruit bowl. 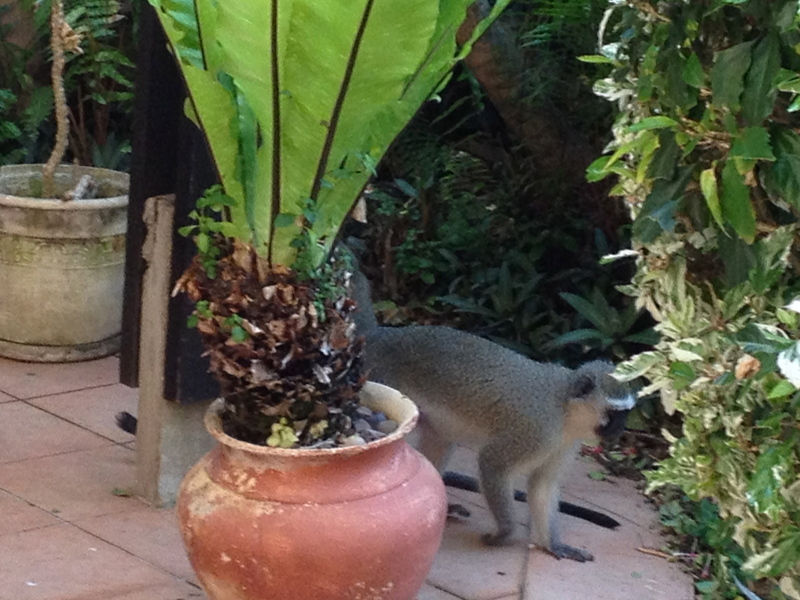 As I stood up to ‘greet’ them, they turned tail and fled out onto the patio. There was a whole troupe of them in the garden, probably about twenty in all, but I couldn’t get them to pose for a family group photo. This one seemed to be a bit of a loner, but I think he was busy working out a strategy. 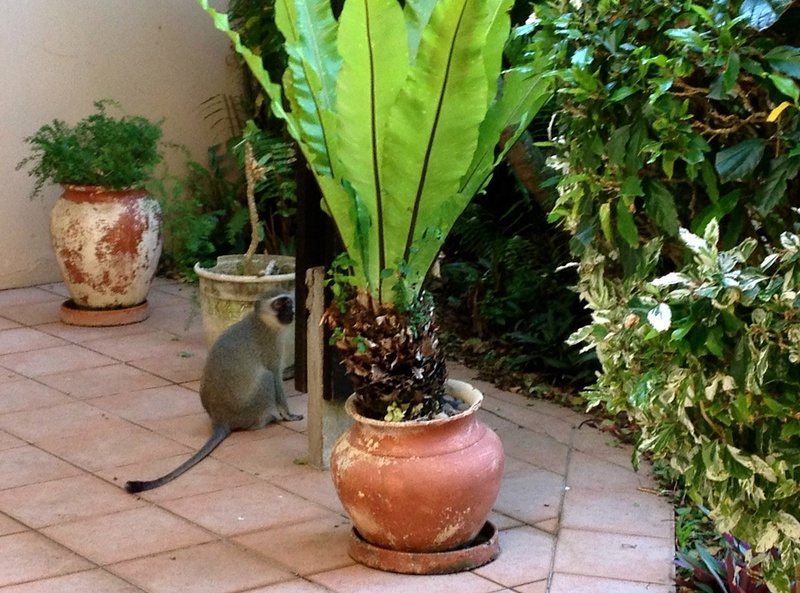 He ambled around the plant pots, probably thinking of my bananas sitting on the kitchen top, and figuring out whether there was a chance that he could get back into the house, now that I’d been lured outside. 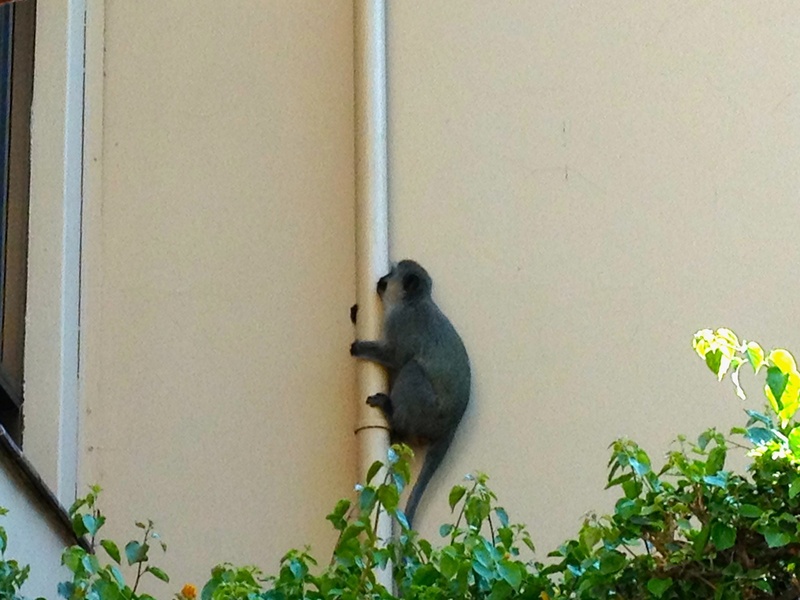 whilst the sentry monkey, stationed on the wall opposite, kept a look out for marauding humans. I thought I had the situation under control, but suddenly got quite a fright when something landed on the awning right above my head. 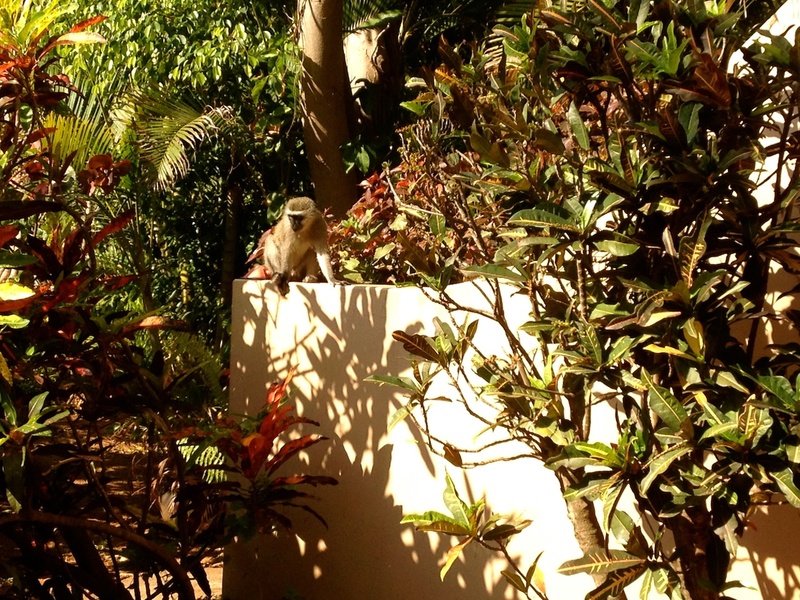 It sounded like an elephant, but fortunately it was only another monkey, and I was treated to a shadow and light show. 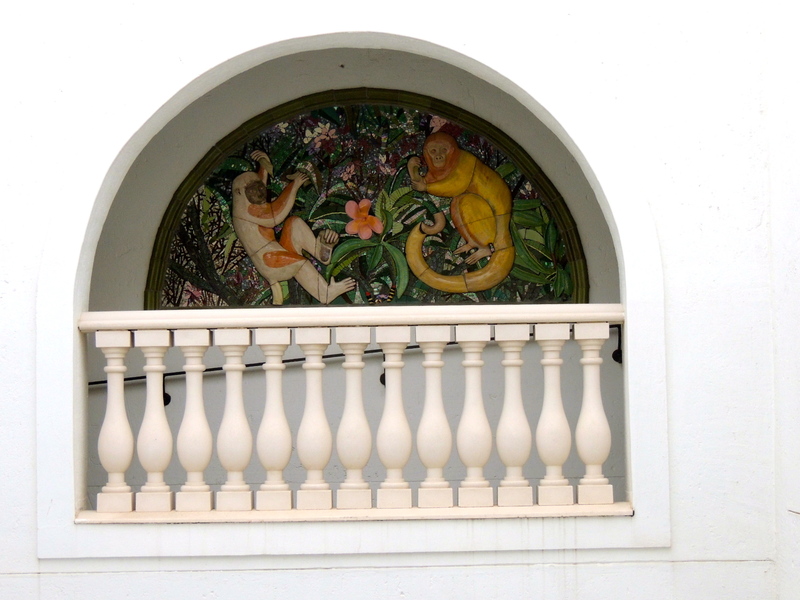 Whilst were on the subject of monkeys, here’s another monkey mural from the Oyster Box Hotel. To join in the fun, just click on the badge below. Your own pets, or any other animals, qualify for this fun challenge.